This time it's PHOTO WEEK over at Just Us Girls, and our gal Vicki has chosen this wonderful mood board for our inspiration. 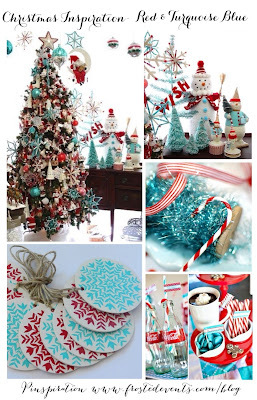 I love these colors, especially for Christmas. I was drawn to the Nordic tags, because I have a couple of stamp sets that are spot on for this look. I stamped the background with a GKD stamp set by Claire Brennan called Nordic Winter. It was so much fun to pick the different images and stamp them in red and turquoise. Then I stamped and cut the label and did some more stamping on that with the Nordic Winter set and the GKD Fabulous Holiday Label Set. I love how this turned out. 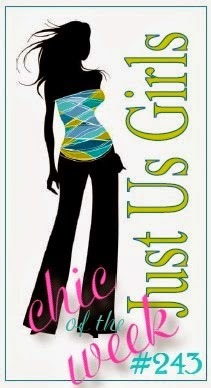 With this post, my tenure with Just Us Girls is at an end. I am stepping down from the Design Team. It has been a great pleasure to be in the company of such talented artists, however life is getting complicated and I just need to step back. My most heartfelt thanks to the JUGS Design Team for inviting me to be a part - it was such an honor. I will continue to visit JUGS regularly, I will NOT be a stranger. Please visit the JUST US GIRLS blog to see the wonderful examples that our November Guest Designer Trina and the rest of the team have made this week. 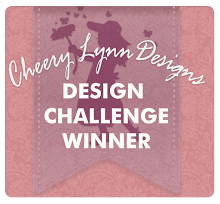 And remember, if you win Chic of the Week in any of our November challenges, you will be in the running to be chosen as one of our 2 Guest Designers for the month of January!! Good luck, and I hope to see you there. Today over at the Dies R Us Inspiration Blog I have a beautiful Christmas bauble for you to create using the Memory Box Emma Ornament Die. I started, as always, by preparing the layers for my card base. Here I used Papertrey Ink's Hawaiian Shores card stock, some gold card stock by Gina K Designs, and some patterned paper from the DCWV Summer Dream Stack. Next I cut out all my elements with gold foil and Hawaiian Shores card stock. I ended up not using those beautiful Impression Obsession snowflakes on my card, but I will include a link below so you can find them in the Dies R Us Store. Now I was finally ready to put it all together. I decided there needed to be something in that top right corner, so I cut a corner element from Cheery Lynn. As I said, I ended up not using the snowflakes, I didn't think there was room. After my card was all together I used Nuvo Crystal Glitter Drops to add little dots all over the bauble. It gives it a lot of dimension. The greeting is from the GKD stamp set called Merry Little Christmas. As always, I adore your kind comments. I so look forward to reading them. This time it's COLOR WEEK over at Just Us Girls, and our gal Angie has chosen Turquoise, Gold and Brown. 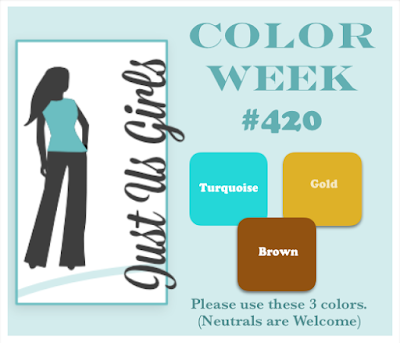 As always with color challenges, you are to use ONLY the three chosen colors, as well as any neutrals that you need. Neutrals are white, ivory, kraft, black, brown or gray. I just got a new stamp set by Concord and 9th called Blooms Fill-In. It's a huge background stamp, with smaller stamps to fill in the colors on the flowers. It comes with a companion die set and that's what I used for the white flower in the focal. 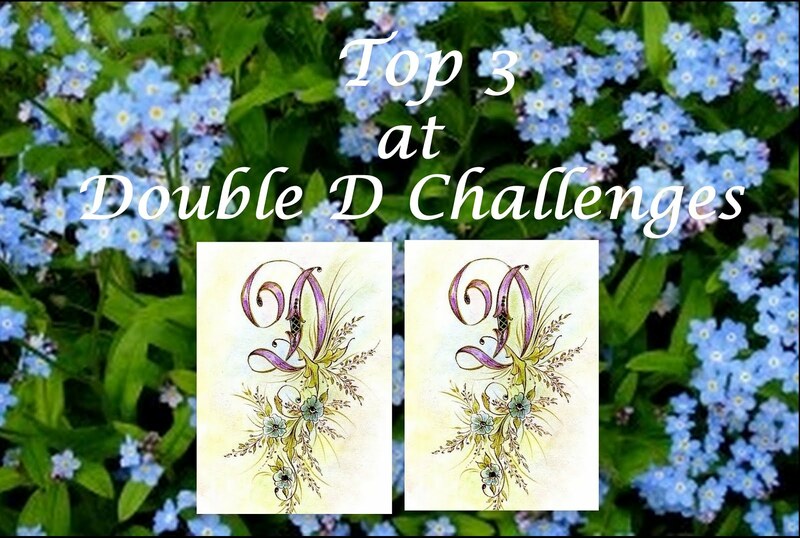 I used Antique Linen Oxide Ink for the tan background, and then turqoise, brown and gold inks for the flowers. This is a really fun stamp set, so many possibilities. I used metallic gold card stock as a mat, and stamped the little berries in Delicata Gold Ink. 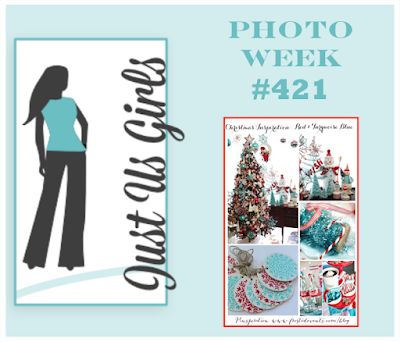 Please visit the JUST US GIRLS blog to see the wonderful examples that our November Guest Designer Trina and the rest of the team have made this week. 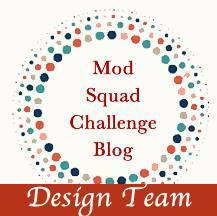 And remember, if you win Chic of the Week in any of our November challenges, you will be in the running to be chosen as one of 2 Guest Designers for the month of January!! Good luck, and I hope to see you there. Okay, first of all, I have to fess up that this is not my original design. I found it HERE on Pinterest. It's by Becca over in the UK. Gotta love Pinterest. 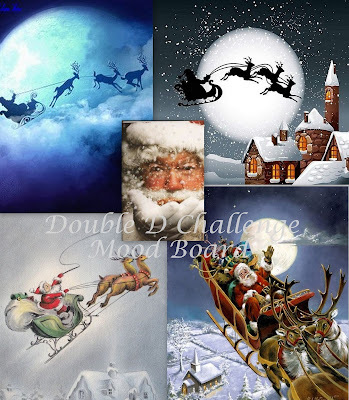 The Santas are from last year's Stampin' Up holiday line called Cookie Cutter Christmas. I used white Nuvo Crystal Drops for all the fluffy white stuff on them. Super cute. I love fussy cutting the edge of my card, it's so cool I think. 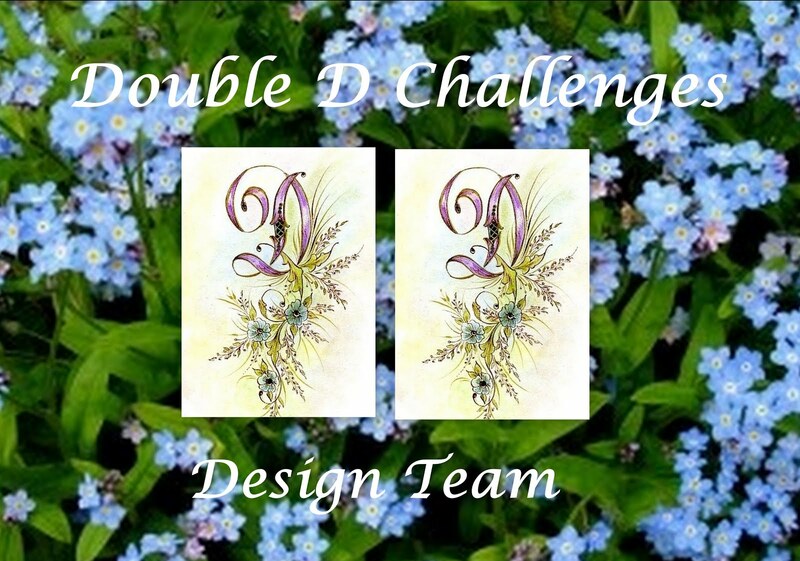 Please come on over to the Double D Blog to see what our other designers have created. And you could win this awesome prize if you play along. Just in time for your Christmas cards! It's 2 weeks until Thanksgiving, and Christmas is close behind. Are you getting your Christmas cards ready? I think I better get crackin'. So happy you stopped by - thanks for all your lovely comments. I started with my layers for the card base. I used Gina K Designs Wild Orchid, Black Onyx and Ivory Card Stock, and the patterned paper is Stardust Stack by DCWV. Next I die cut the moon and stars from the Hippy Heroine die set. See below for the other die that comes with this set. She's beautiful!!!! Finally I stamped and heat embossed the greeting from the GKD stamp set called Inspiration Mosaic with gold embossing powder. Then I was ready to put the card all together. I used some stash gold cord to "hang" the star from the moon. I love how that looks. I did some layering behind the greeting with Black Onyx and some of the patterned paper. Thanks for coming over for a visit. As always, I adore your comments....see ya next time! This time it's TREND WEEK over at Just Us Girls, and our gal Lisa has picked SILHOUETTE STAMPING. I love that look. Always elegant. I decided to do something other than a black silhouette for this card, so I pulled out my Stampin' Up Island Indigo ink (one of my favorites) and an old GKD stamp set called Whimsical Wishes. I think I won this set back in the day when we could chose our own stamp set if we won a challenge. I have always loved these images and thought they were perfect for the silhouette look. I cut the gold circle frames from 2 different circle dies. I think they really add a lot to the card. And I added some gold thread behind the greeting just for a touch of class. This time it's WORD WEEK over at Just Us Girls, and our gal Maria has chosen the word THANKFUL. A perfect word for this time of year. I love the greeting on this card. It's such a lovely sentiment. I decided to use fall colors so that I can send this to my dad for Thanksgiving. That textured copper background behind the patterned paper is wall paper. The photo doesn't do it justice. 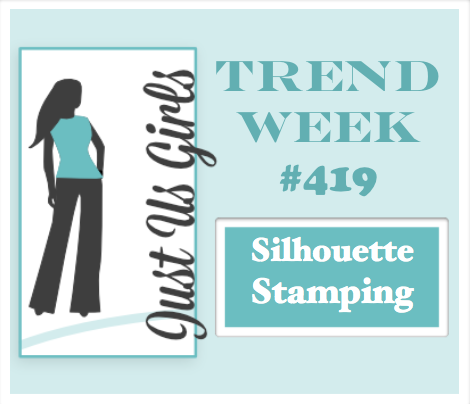 I used the GKD die set Fabulous Labels and stamped the die cut with Dark Sage Ink. Lots of layering and embellishments. I would like to welcome our November Guest Designer, Trina Pham. 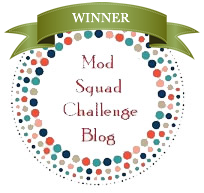 Trina is so talented, just hop on over to her BLOG and see what I mean. Please visit the JUST US GIRLS blog to see the wonderful examples that Trina and the rest of the team have made this week. And remember, if you win Chic of the Week in any of our November challenges, you will be in the running to be chosen as one of our 2 Guest Designers for the month of January!! Good luck, and I hope to see you there. 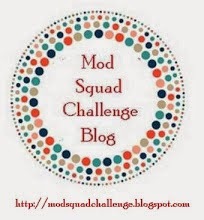 This week it's my turn to host over at the Mod Squad Challenge. I have entitled the challenge "The Cutting Edge". 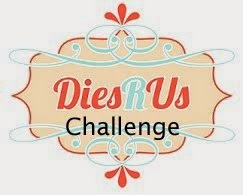 Can you guess what the challenge is? Why yes, it's to cut the edge of your card. You must fussy cut one of the edges of your creation. 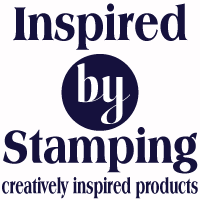 Stamp TV is a free online community featuring card making, stamping techniques and project videos for paper crafters using stamps and other products by Gina K. Designs. 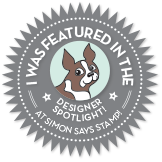 Be sure to check out StampTV for a ton of great videos and techniques. They also have weekly challenges. Shop Gina K Designs. 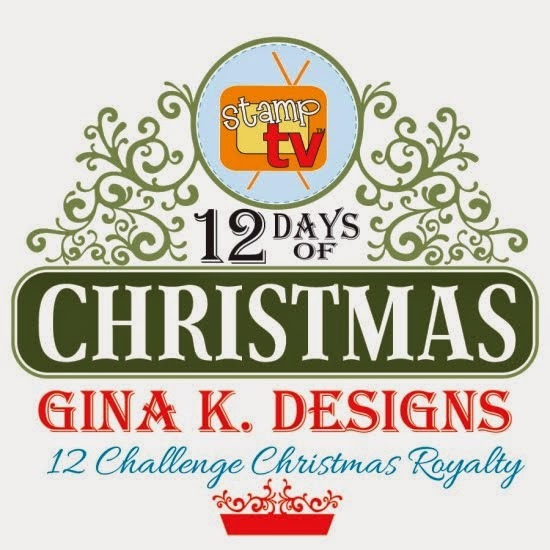 A $20 gift certificate to the Gina K Designs store!! It's a little challenging to photograph a card like this and capture the 3-D effect. I stamped the sunflower image from Melanie Muenchinger's A Year of Flowers, using a mask on the middle one so that the other two looked like they were behind. Also added some leaves. After I colored the image with my Copics I fussy cut the right edge. I love this look - it appears difficult but it's really quite simple, and gives the card a great wow factor. Plus, it's one layer, so it mails well. I would also like to enter this card in the CropStop Challenge. This month it's Anything Goes. This time over at Double D we are Feeling FALLish. Just look at the awesome Mood Board we have provided for you. How about all those beautiful fall hues? Fall is such a wonderful time of year to play with color. Here I have colored a simple Gina K Designs pumpkin and layered it up with a bunch of circle die cuts. 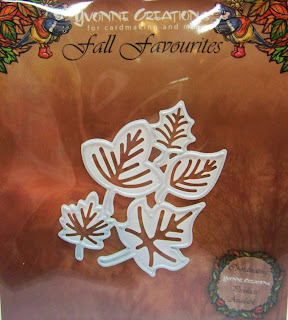 I love that leaf embossing folder by Darice, it's perfect for fall. 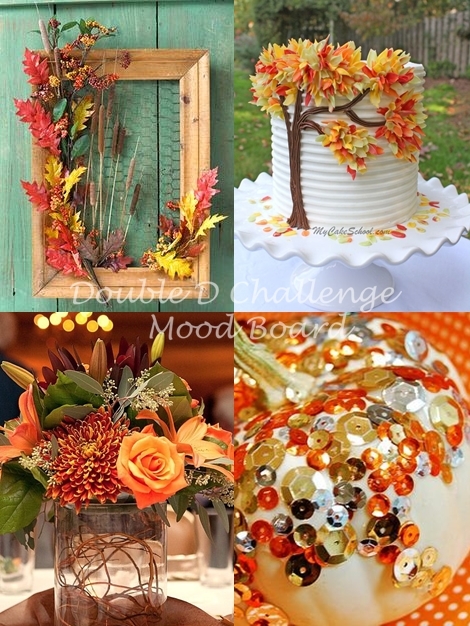 And those die cut leaves are just what I needed to enhance that autumn theme. I cut them out in 3 different colors of card stock and sponged them with a little Soft Suede ink to set them off. 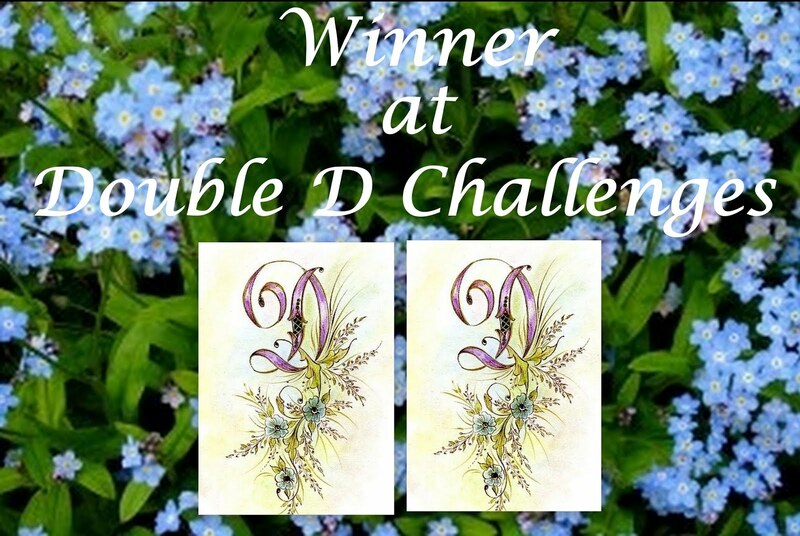 Please come on over to the Double D Blog to see what the other designers have created. And you could win this awesome prize if you play along. Who wouldn't love some great leaf dies? Thanks so much for stopping by. Hope you had a great weekend and maybe did a little raking. Fall is definitely upon us - in fact they are predicting snow this week. UGH!!! I love your sweet comments, they are always appreciated.